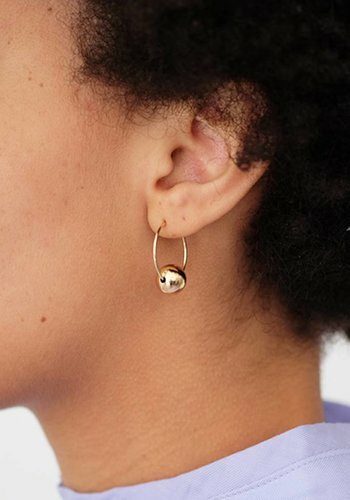 Smaller and backless through a signature closure. 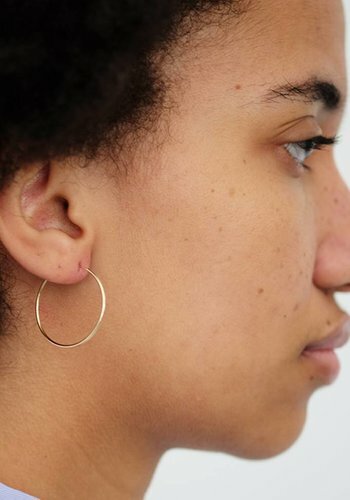 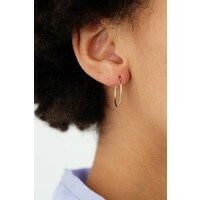 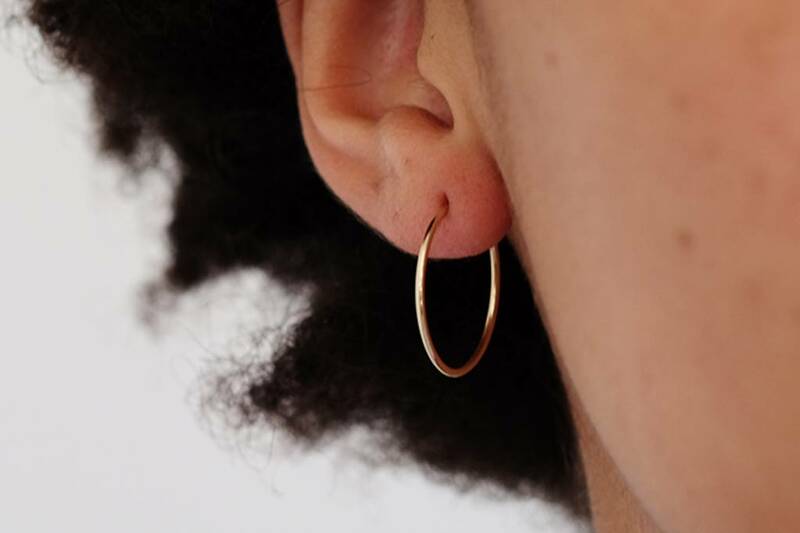 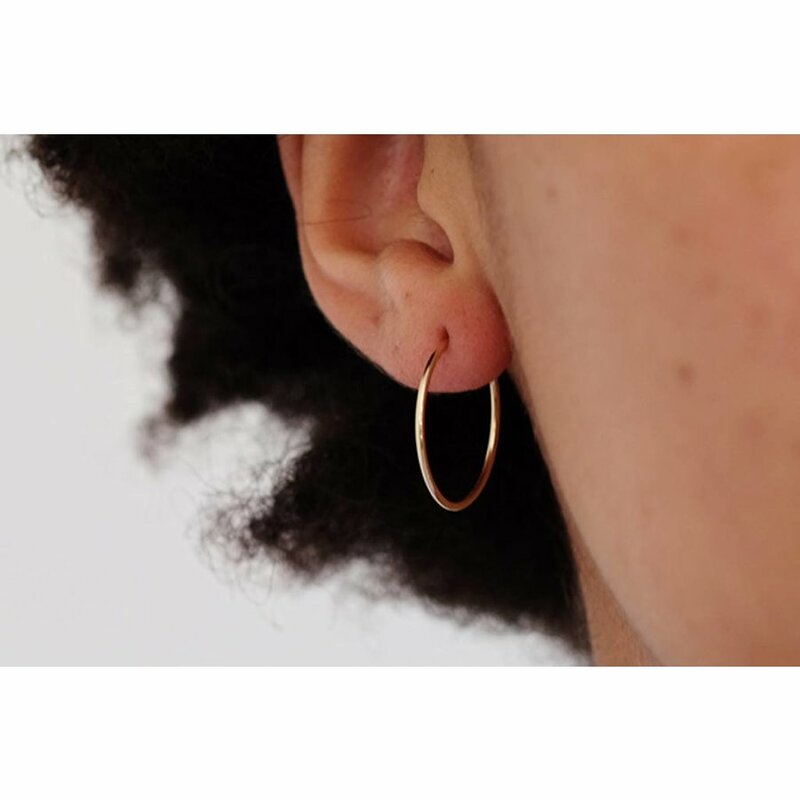 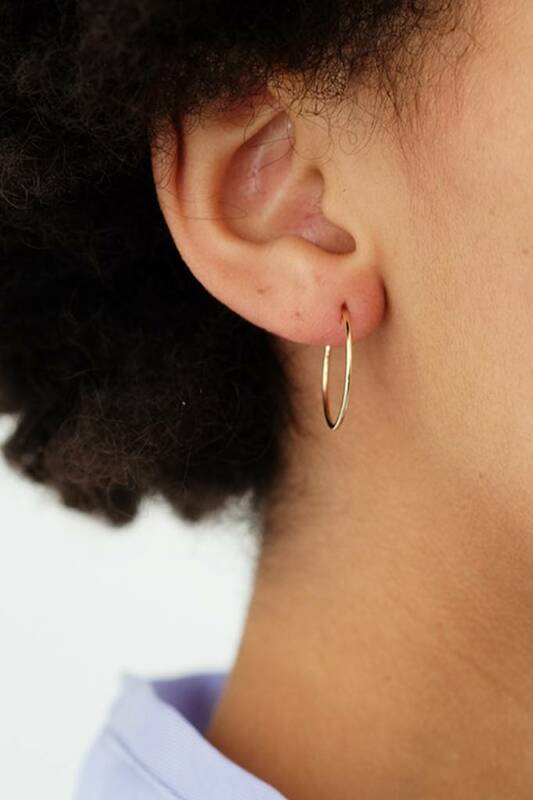 These 'medium' sized hoops are the right size for just about any outfit and made effortless backless though a signature seamless closure. 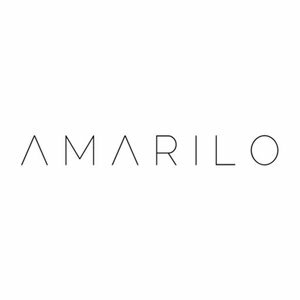 Hand made with love in L.A. by our friends at Amarilo.